The Plant Genome and Development Laboratory (LGDP) is involved in research and study on plant genome organization and gene regulation, particularly their role in plant development and adaptation to biotic and abiotic stresses. It is a joint research unit (UMR 5096) of about fifty people and is supported by two institutions: the University of Perpignan via Domitia (UPVD) and the National Center for Scientific Research (CNRS). The unit is attached to the National Institute of Biological Sciences (INSB) of the CNRS. The LGDP is located on the University of Perpignan campus, installed in a new building of 1650 m2 which was inaugurated in 2009. Teams benefit from research modules and new, well-equipped offices and and are accompanied by highly-qualified technical and administrative staff. Laboratory and office space is also reserved for the reception of foreign researchers. A modern, well-equipped seminar room can accommodate 50 people. Many facilities and services provide access to the most advanced equipment: growth chambers, sequencing, microcopying service, proteomics, bioinformatics ... 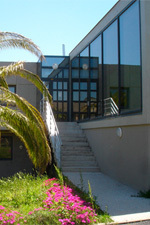 The laboratory is part of the Bioenvironnement platform. These teams interact closely, all using molecular tools and techniques based on the genomes of the model plants, Arabidopsis thaliana and rice. One of the strengths of the LGDP is its collegial structure based on small groups with strong interactions and who pool the majority of their financial, methodological and technical means. 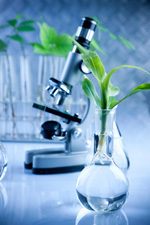 The laboratory received an A+ classification from the AERES in 2010.
International recognition of the LGDP is shown by publications in high-profile biological reviews, as well as numerous collaborations with labs in Europe (United Kingdom, Spain, Germany, Poland, …), Asia (Japan, Taiwan, …), United States and several Central and South American countries. Seminar Tuesday april 16th at 11 am, given by Angelique Deleris, Institut de Biologie, ENS Paris, Equipe Lionel Navarro. Title : Interplay between DNA methylation and PcG in the epigenetic control of plant tansposons. The analogous and opposing roles of double-stranded RNA-binding proteins in bacterial resistance. Ribosomal RNA genes shape chromatin domains associating with the nucleolus.